In this methodology an approach called statistical-dynamical downscaling is used (Frey-Buness et al, 1995). The basis for the method is that there is a robust relationship between meteorological situations at the large scale and meteorological situations at the small scale. Karlsruhe Atmospheric Mesoscale Model (KAMM) is used to model the mesoscale effects on the wind flow over India using modeling domains. KAMM calculates the mesoscale wind field using as input a description of the synoptic-scale climatology, as well as suitable orography and roughness maps. The climatology of the post-processed simulated wind fields and the local orography and roughnesses are subsequently used by WAsP (Wind Atlas Analysis and Application Programme) to predict the local wind climate. Creating a numerical wind atlas demands a large computational effort, and this computation effort increases with the size of the region to be mapped. India’s very large size means that it is not possible to perform the numerical wind atlas calculations at sufficient resolution for the whole country using a single modeling domain. Therefore it was decided to split the numerical wind atlas effort into twelve calculation domains ( See Fig.1).  Figure.1. Map of India showing the 12 modeling domains used. 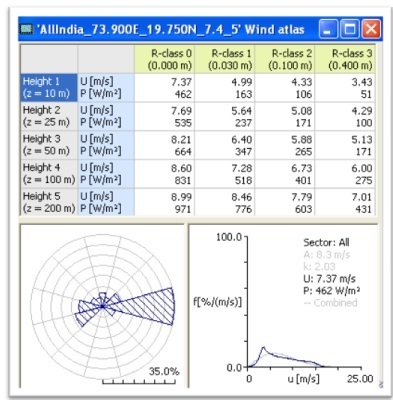 A complete numerical wind atlas calculation is made for each domain. The output of KAMM wind atlas file (.lib file) can be used as an input file of WAsP for the further analysis after the validation of results with nearby sites. Figure 2 gives an example of wind atlas file (.lib). This can also be referred to get an idea of wind characteristics over the given area at different height levels with reference to the roughness . Table 2.. Summary of the verification for wind speed for each modeling domain at 10/20m agl. In order to obtain the .lib file, the customer should send the required geographical coordinates along with a DD for the amount of Rs. 550/-. Soft copy (.lib) available for the nearest grid as well as copy of detailed regional wind atlas report in PDF format ( 5 pages, sample is given ) through email will be provided to the customer. Interested customer may send the Demand Draft for Rs. 550/- ( inclusive of Service Tax) in favour of "NATIONAL INSTITUTE OF WIND ENERGY, Payable at Chennai". The .lib files containing regional wind atlas were developed using KAMM-WAsP Methodology by M/s Riso DTU, Denmark , with a spatial grid resolution of 5 km , and validated with available surface wind data. Site feasibility studies including direct measurements at turbine hub height according to wind energy industry standards should be conducted to confirm the wind speed and wind power density estimates. Weather deviations from long-term averages and local terrain effects may cause additional variations from the map estimates. Neither NIWE nor Riso-DTU make any guarantees or accept liability for the accuracy of the estimates presented in the data as these are only Meso scale derived values. Use of the maps and/or data for anything other than general information is solely at the risk of the user. NIWE/RISO-DTU may not be held liable for any loss, damage or other consequence resulting from the use of the maps and/or data contained on these files.